As we “Spring Ahead” make sure to check lifesaving smoke and CO alarms. New York, NY - March 5, 2015 - This year, as we “Spring Ahead” for Daylight Saving Time, the Firemen’s Association of the State of New York (FASNY) urges all New Yorkers to check their smoke and carbon monoxide alarms to ensure that they are functioning properly. FASNY recommends cleaning all alarms to remove any debris that might impede their function and to change batteries. As many new smoke and carbon monoxide alarms now include batteries that have a 10-year life span, owners of these devices are asked to test their alarms to ensure they are working properly. 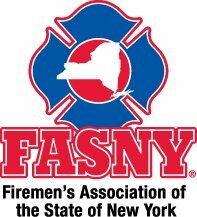 FASNY is supporting state legislation which would require that all smoke alarms sold in New York State come equipped with batteries that have a 10-year life span. According to the National Fire Protection Association (NFPA), two-thirds of all fire deaths occur in homes with no smoke alarms or non-working smoke alarms. Though many homeowners and businesses do in fact have smoke alarms, these units are often not functioning due to a lack of proper maintenance caused by human error. Check the batteries every six months, and change the batteries every year (if applicable). If a battery is starting to lose its power, the unit will usually chirp to warn you. DO NOT disable the unit. Vacuum or blow out any dust that might accumulate in the unit. Smoke alarms should be completely replaced every ten years. For more information on smoke alarms, carbon monoxide alarms and other information on fire safety and prevention, visit www.fasny.com and www.nfpa.org. Today is Sibling's Day: Reach Out to Them in Special Ways! Subject: LongIsland.com - Your Name sent you Article details of "Daylight Savings is Time for Safety"